While you cannot remove your online presence from the world entirely, there are ways you can reduce the information that is available to the open world. Take your browser, for instance; it serves as the main gateway whenever you want to access the web. However, using a more secure browser will certainly bring a huge difference to your online privacy. Being content with a popular website is too risky for you, they’ll mostly leave you vulnerable to attacks. But if you were to use these six trustworthy private browsers, then your online privacy will get an extra boost. Yippy is an excellent search engine if you want your information to be structured into categories. For instance, if you’re searching for a book, the search results will display in categories of fantasy books, educational, thrillers, business books and more. You can then filter to get the exact information you need. It doesn’t allow for ads either. Yippy allows you to search for the specific information you’re after. This capability protects you from getting caught by attacks like phishing and snooping. If you’re after a fast, and reliable browser, then Gibiru is your solution. The search engine has a special encryption system that uses Google’s algorithm to display search results seamlessly, without any monitoring. Gibiru is an exact copy of the original Google browser before it began supporting ads. 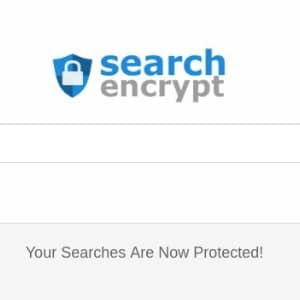 SearchEncrypt employs what’s probably the best security combination for a search engine. It couples local encryption with the Perfect Forward Secrecy (PFS) techniques. This implies that in the event your private key gets exposed, then your session key will stay safe nonetheless – ensuring no data leaks. The private search engine works by getting search results from interconnected search counterparts, and deletes the search history immediately you finish surfing. When compared to its competitors, SearchEncrypt has improved default privacy abilities. SearchEncrypt has extra functionalities including sourcing for news, map finding, lookup private-friendly videos – you can enjoy watching them without experiencing annoying ad pop-ups. Interestingly, SearchEncrypt is also available as a Google extension. Qwant, a France based browser holds the highest security capabilities than its US rivals. Its privacy levels are to be understood, considering they are required to meet the European data and privacy laws. Moreover, we can guarantee that it Qwant doesn’t record your personal data without your consent. Besides, Qwant doesn’t support ads. Qwant has also put measures you don’t have to suffer from its filter feature, where users get search results established from their behavioral profiles and never get results that contradict their views. Qwant also boasts of a well-customized user-friendly browser. Ideally, its search results are categorized according to Web, News, and Social media. Moreover, the homepage has sections like news, trending people, events, as more stories. Qwant has also introduced a feature similar to DuckDuckGo’s !band. The feature allows you to type characters like ‘&’ and ‘!’ followed by the name of your favorite site. DuckDuckGo is probably the most common alternative search engine. The browser is preferred by most users looking for ultimate privacy. 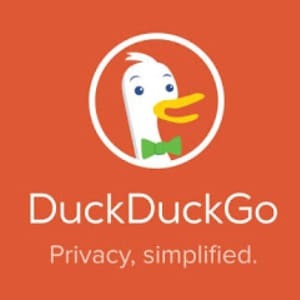 Moreover, they constantly give assurance of privacy: “if the FBI comes to us, we have nothing to tie back to you,” Gabriel Weinberg – CEO of DuckDuckGo. Its searches mostly originate from Yahoo. One great feature about DuckDuckGo is what it calls “bangs”. When using DuckDuckGo, you can search for sites like Amazon, Yelp, or YouTube. The private search engine added a recent new extension to its product portfolio. Using IPBurger VPN when surfing the internet ill protect you from prying eyes. 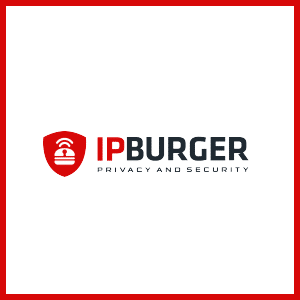 IPBurger VPN uses the AES 256-bit encryption which ensures no one gets access to your data nor devices. IPBurger VPN also ensures you are private when accessing the internet. This is because IPBurger VPN assigns you a virtual IP address which hides your real IP address hence privacy. PreviousVPN for Online Banking: Do You Need One? NextWhat is a Botnet and How Do You Protect Against Them?